Originally posted on brandkeys.com, this article is a study on consumer values in America. John Wayne’s character and unwavering patriotism still stands the test of time, as consumers answered, unaided, that John Wayne is the most patriotic person in 21st century America. See the full article reposted in its entirety below. Name anyone – alive or dead – you feel best personifies the value of “patriotism” in the United States. For the first time since this survey was conducted 10 years ago – in addition to asking consumers to evaluate the 248 brands included this year – we asked that question. We asked respondents to name “anyone – alive or dead – who they felt best personified the value of ‘patriotism’ in the United States,” because – particularly in light of some of the political rhetoric this year – we thought it would be provocative to see how people put a human face on such an extraordinary value. So a national sample of 4,750 consumers, 16-65, stood up to be counted, with the research conducted May 16th – June 15th 2016. The question was asked on an unaided basis, that is, we didn’t give anyone a list to choose from. We did, however, edit out historical, likely suspect mentions, like Washington, Lincoln, Betsy Ross, Nathan Hale, Abigail Adams, Thomas Paine, and Alexander Hamilton. They’ve already earned their place in history, and besides, we were looking for a more contemporary list. And, for all the obvious reason you can think of, we ducked the current crop of presidential hopefuls and candidates running for office, although in fairness, none of the major candidates were mentioned enough times to vote them into the top 20 list. That, in and of itself, should say something about our political process and Americans’ views of patriotism! When we did all that, we ended up with a list of people Americans felt best personified and humanized the value of patriotism. It’s an interesting mix of entertainers, soldiers, athletes, explorers, and cultural influencers and commentators. We think it says a lot about how people view patriotism. And sure, with the exception of someone in the military, patriotism may not a top-of-mind value when it comes to personifying anyone, but if you move beyond the immediate, emotional connections that exist, it’s highly likely you can find all the rational reasons citizens thought of these people first. Or at all. 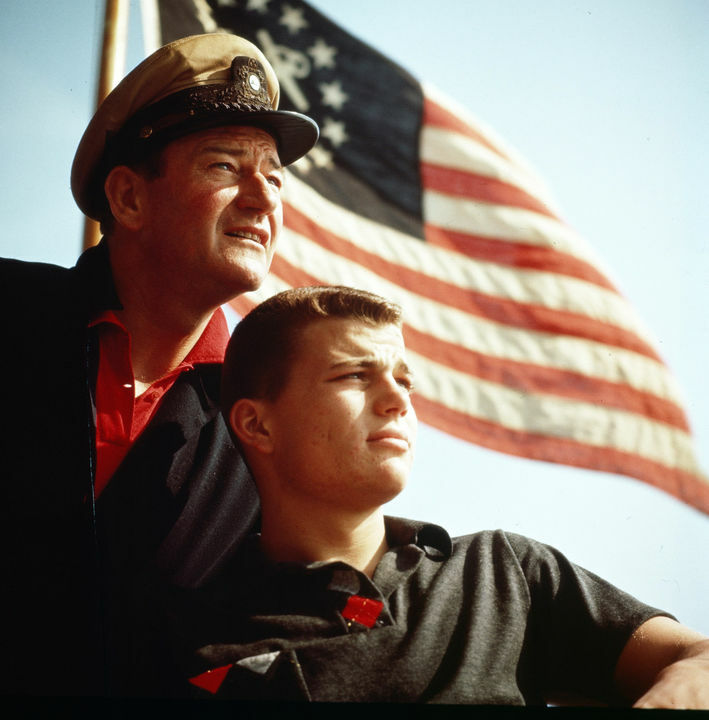 John Wayne was never shy about his love for America – on or off the screen. Bill O’Reilly has written four books dealing with American history. Tom Hanks standardly plays unlikely American heroes and has worked tirelessly to strengthen the legacy of the Greatest Generation. Won an American Spirit Award, too. John Stewart has railed against false patriotism, and Lin-Manuel Miranda has reframed American history and created a new paradigm for patriotism. And the first man to walk on the moon? Com on, this is the moon we’re talking about! If you take a moment to think about it, everyone on the list ultimately has a valid and significant stake when it comes to how americans see patriotism. Remember these were people and not brands we were asking about. The term “brand” is one that has become grossly overused. It seems today anything that has a degree of awareness or celebrity calls itself a “brand.” But the reality is a real “brand” must be imbued with something more than talent or celebrity, and certainly more than awareness or notoriety. It needs to be a value people recognize and desire. As to the actual brand part of the study, consumers identified the following real brands as leading 2016’s patriotism parade. Percentages indicate brands’ emotional engagement strength for the individual value of patriotism. For a complete list of 2016’s top 50 Most Patriotic Brands, click here. Look, patriotism isn’t a campaign. It isn’t changing the name of your brand to “America.” It’s not short, frenzied outbursts of emotion. That’s more promotional than patriotic. Based on this year’s list, one could reasonably agree with the position that real patriotism is the quiet and steady dedication of a lifetime’s work – whether you’re speaking of a brand or about a person. Some approaches can be categorized as “liberal,” and others “conservative.” But looking at the list respondents generated, we think that statement is true about every one of the names, no matter where you personally stand on the political spectrum.